As we traveled past the Wise County Courthouse in Decatur recently, we couldn't help but marvel at how beautiful it looked against the backdrop of the setting sun. 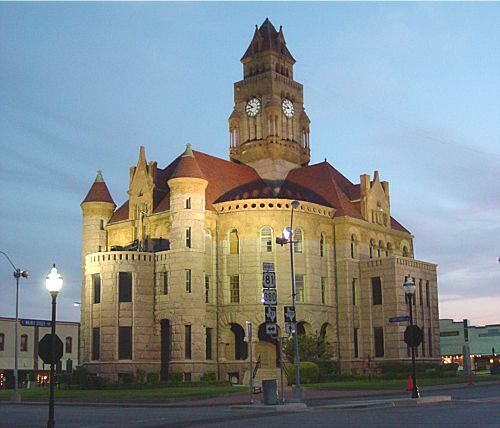 According to the Wise County history books, Wise County has had four court houses, two of which burned. The current courthouse, designed by architect J. Riley Gordon, was built at a cost of $110,000. The building, featuring pink granite, was completed in 1896.